At the homebrew store I ran my grain through the mill twice to get a finer crush. 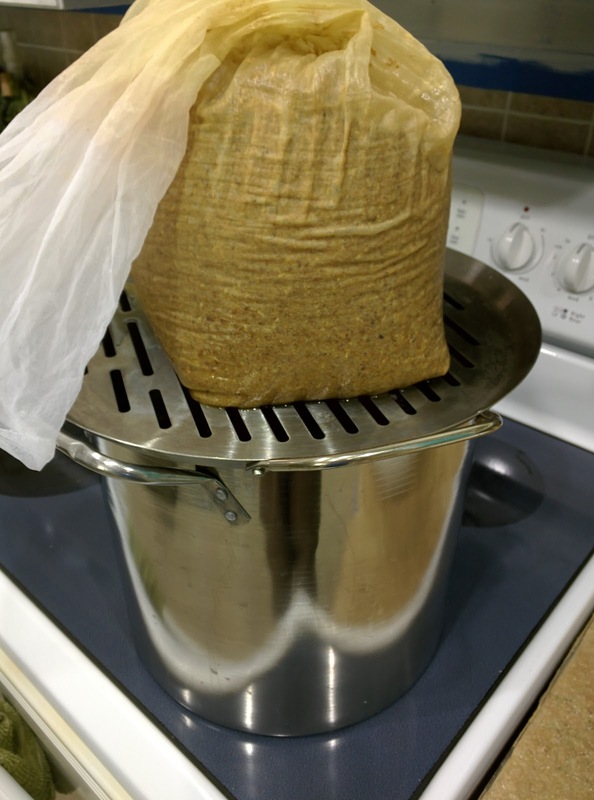 For my first all grain brew-in-a-bag batch, I had terrible mash efficiency and I was hoping that the double crush would help. 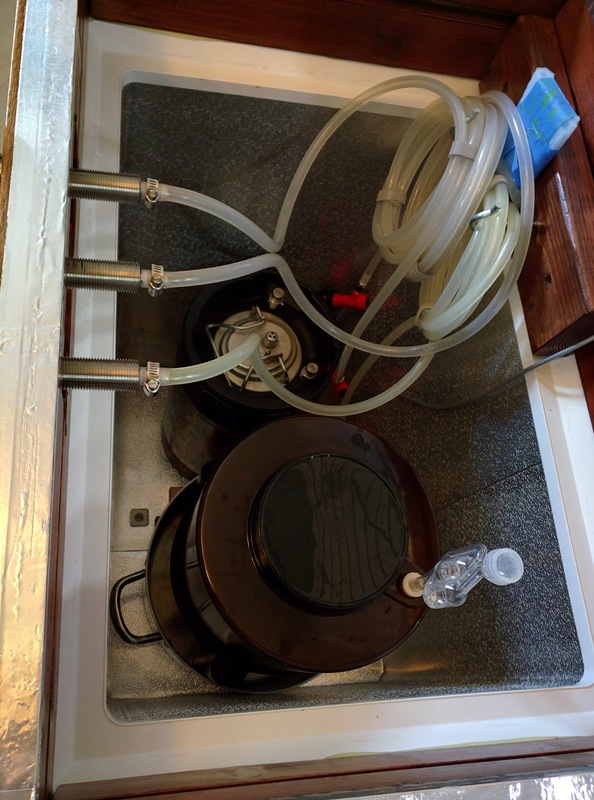 On brew day I used my ANOVA Sous Vide cooker to get about 2.5 gallons of water heated to 151F. The ANOVA is kind of an expensive way to brew, but it makes holding a steady temperature so easy. Good for making perfectly cooked meat as well! 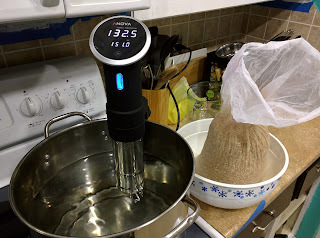 I mashed for about 2 hours, and at the end I increased the temperature to 170F and held there for about 15 minutes. 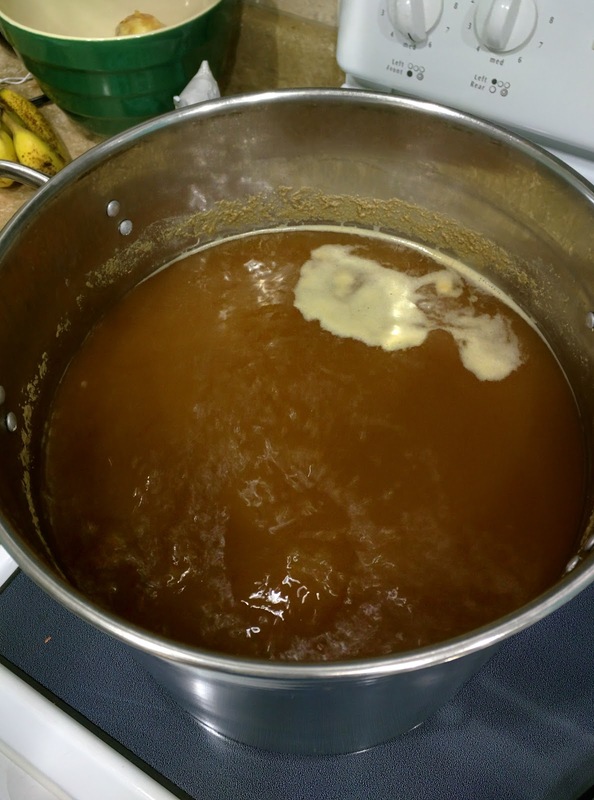 During this the wort progressed from quite light to a lovely dark color. I stirred it several times and added a bit of extra water (about 5 cups). I took out the grain bag and put it over my pot. Had a grate for cooking pizzas on a grill that works great for this; nice and sturdy so you can press it without bending it. While that was draining, I cleaned the ANOVA's heating element so it wouldn't get sticky. 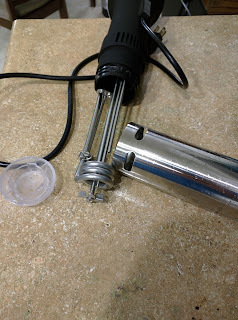 It's very easy to take apart. Then I started the boil. Tossed in 1tsp of the Burtons salts right at the beginning. One hour, starting when it was visibly boiling. 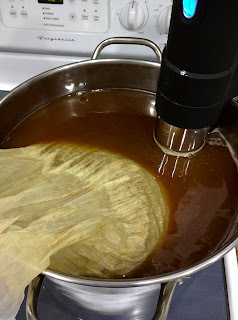 I added 1oz of the EKG hops with 30 minutes remaining for a bit of bittering and 1oz at 5 minutes remaining to get more of the flavor and aroma. I put all hops in a fine nylon mesh bag to cut back on gunk in the fermenter. Next I started cooling it, which, to say the least, took entirely too long. At least an hour in fact. Didn't have enough ice on hand. But, finally, it was down to a reasonable temperature. 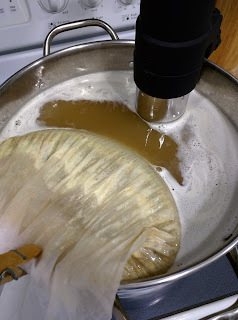 I dumped the wort into my fermenter, re-hydrated my yeast in warm water, pitched the yeast, and aerated the mixture with a whisk for a few minutes. I filled it with water to 2.5 gallons. After that, into the fermentation chamber it went. Temperature was set to 65F. Starting gravity was 1.052. If I did the math right, I got about 70% efficiency with my mash. It started bubbling after about 6 hours. I'll post about how it turns out in the coming weeks! Edit: A link to the future! Go directly to the tasting!